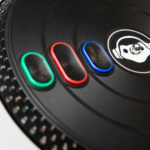 I modified a DJ Hero controller to play as the character of Lucio in Overwatch. I built my own DIY version of an Elgato Stream Deck to control OBS Studio. 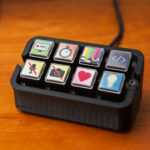 It can also function as a mini macro keyboard for controlling other programs. 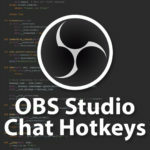 I programmed a script for OBS Studio that allows you to post messages in Twitch chat using hotkeys. 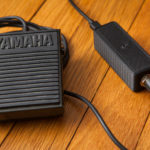 I turned a sustain pedal from an electric piano into a footswitch-controlled hotkey for my PC. 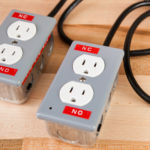 I built a pair of electrical boxes with integrated relays for controlling 120V powered devices from a microcontroller. 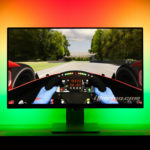 I wrote a small plugin for the Prismatik ambilight software in Python that displays data from the iRacing simulator onto my monitor’s LEDs. 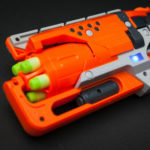 Using a Nerf Hammershot revolver and an Arduino I built a video game controller for the character of McCree from Overwatch. I’m building my own working copy of the DeLorean’s “time circuits” from the Back to the Future films. I modified a Staples Easy Button to connect to my PC and automatically create clips on Twitch when pressed. I also made a custom button top with the Twitch ‘Glitch’ logo. Using SammyIAm’s Moppy project, I made eight floppy disk drives act as an instrument to play music via MIDI. 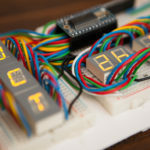 I built my own dynamic computer backlight using some WS2812B LEDs (aka ‘NeoPixels’) and an Arduino. 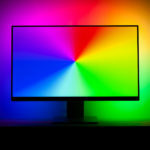 PC software captures colors on the edges of the screen and sends the data to the LEDs, extending the monitor to the wall behind it. 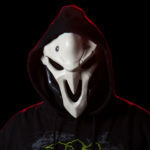 Using a 3D printer, I created a replica of Reaper’s mask from the video game Overwatch. The mask was printed in multiple pieces, assembled, smoothed, and painted.